300 lb. capacity. 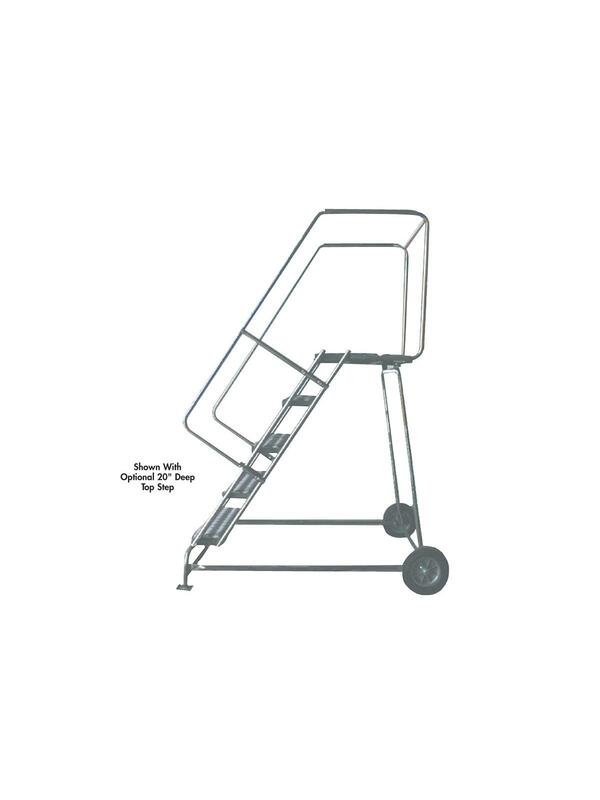 Lightweight lift and wheelbarrow portability. 7" D. intermediate treads, 10" D. top step. Available in Heavy Duty Serrated Grating (G) or Solid Ribbed (R) tread. All welded unit is shipped set-up. FOB Shipping Point. 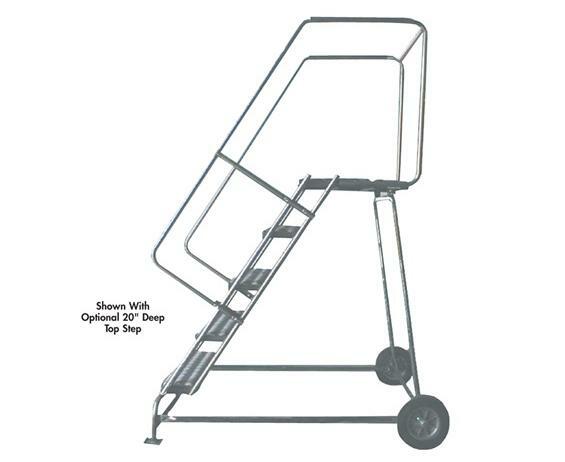 20" Deep Top Step available. CAL-OSHA is also available please call for details. 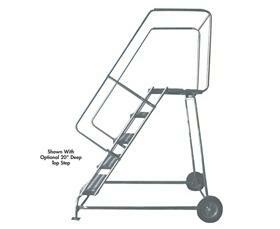 See Related Items tab for Options for Aluminum Ladders - Wheelbarrow Style.